The leading employment agency listed on the Borsa Italiana MTA acquired the Italian digital recruiting platform, to integrate technology in their search & selection business. Mind the Bridge advisory firm behind the due diligence and the deal. Milan, Brussels June 5th, 2018 – “Exits are key for the sustainability and growth of the European startup ecosystems. Acquiring corporates get access to innovation and talent, startups get scale and access to distribution channels, investors get their money back and invest in the next generation of technologies. 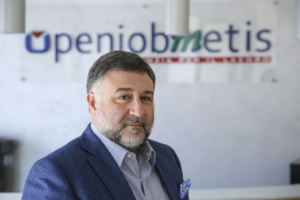 Everybody is winning.”, Alberto Onetti, President of Mind the Bridge, commented on the acquisition of Meritocracy by Openjobmetis, announced today. The leading employment agency listed at the Borsa Italiana MTA acquired 100% of Coverclip S.r.l., the company behind Meritocracy, the digital recruiting platform based in Milan, with the goal of embedding and developing technology in the current search & selection business of the Group. The deal is the result of a collaboration initiated 2-years ago with Mind the Bridge, a global organization providing innovation advisory for corporates and startups. Mind the Bridge helped Openjobmetis to structure the newborn “Open Innovation” unit, announced at the Star Conference in Borsa Italiana last March with a goal of nurturing innovation inside Openjobmetis and finding new strategic opportunities with startups. Openjobmetis was assisted by K Finance (Clairfield Italy – Filippo Guicciardi and Paola Quadri) as advisor, by Avvocati di Impresa (Alberto Calvi di Coenzo and Rosanna Frischetto) for the legal part and by Engineering Ingegneria Informatica SpA and Studio Luisetti & Sterchele e C. Srl for the due diligence. Meritocracy was assisted by Portolano Cavallo (Antonia Verna e Daniel Joseph Giuliano) as legal advisor. Certain statements in this press release could constitute forecasts. These statements concern risks, uncertainties and other factors that could cause actual results to differ, even substantially, from those anticipated. These risks and uncertainties include, but are not limited to, the ability to manage the effects of macroeconomic developments, to acquire new assets and to effectively integrate them, the ability to acquire new contracts, the ability to manage effective relationships with customers, the ability to achieve and manage growth, currency fluctuations, changes in local conditions, information system problems, inventory risks, credit and insurance risks, changes in tax systems, as well as other political factors, economic and technological risks and other risks and uncertainties.